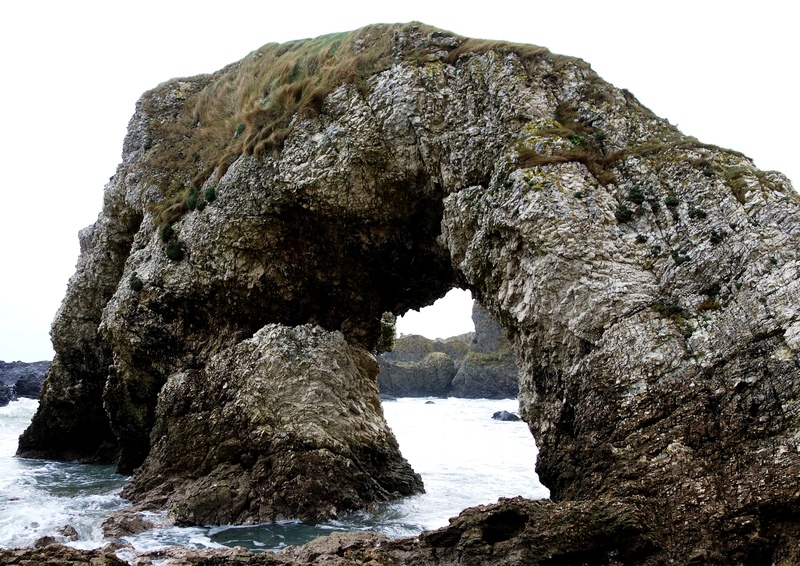 Larrybane, Game of Thrones Location, Co.Antrim. 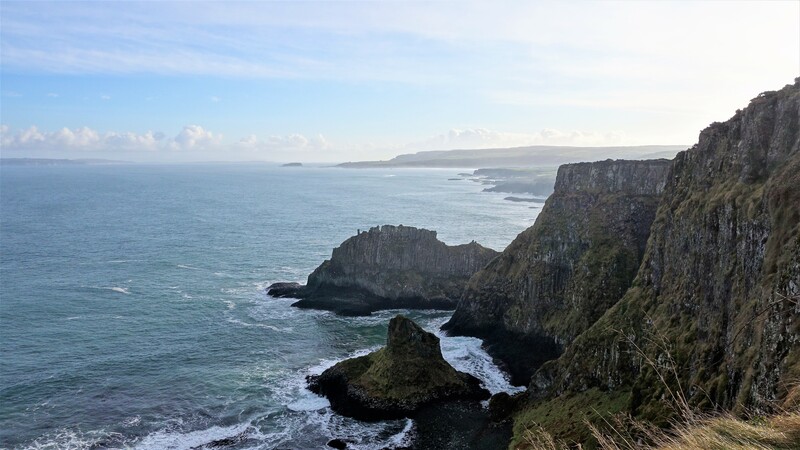 I took a drive up to a place called Larrybane yesterday which is halfway between Ballintoy (another GoT location, see my posts on it) and Carrick-a-Rede rope bridge. 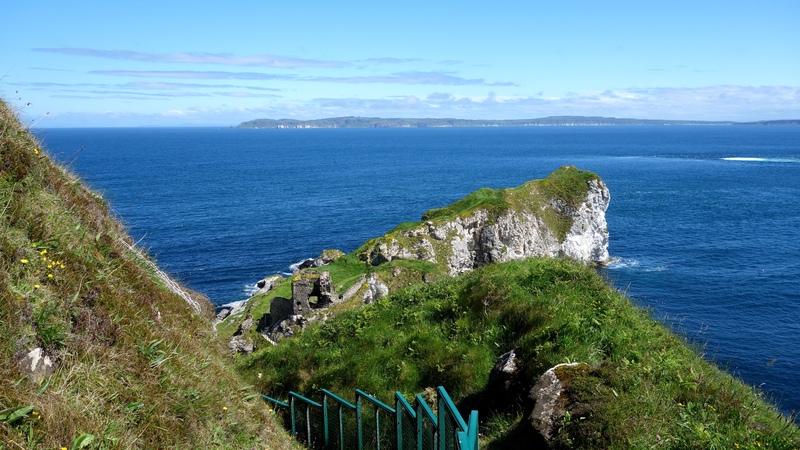 In fact to get there you have to follow the signs for Carrick-a-Rede and park up in one of the two car parks when you arrive (the first one you come to is for the bridge but theres a another one lower down thats better for Larrybane). 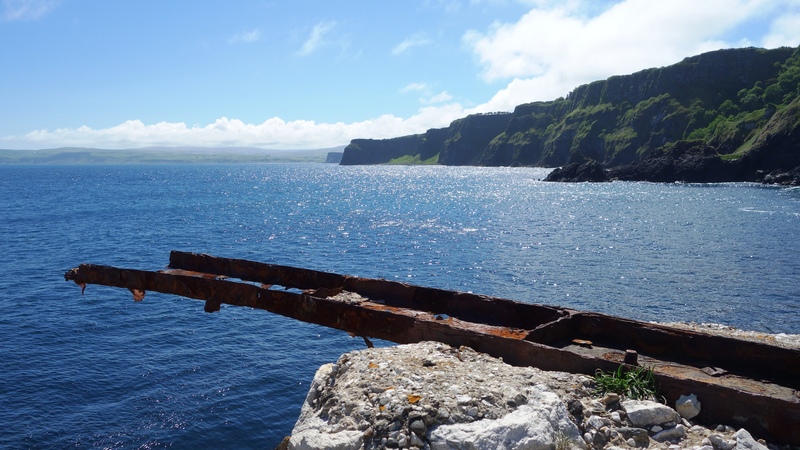 The good thing is, Larrybane is completely free to access (the bridge is a pricey £7.50 each but hey, we all know by now that the National Trust is very good at robbing tourists eh? 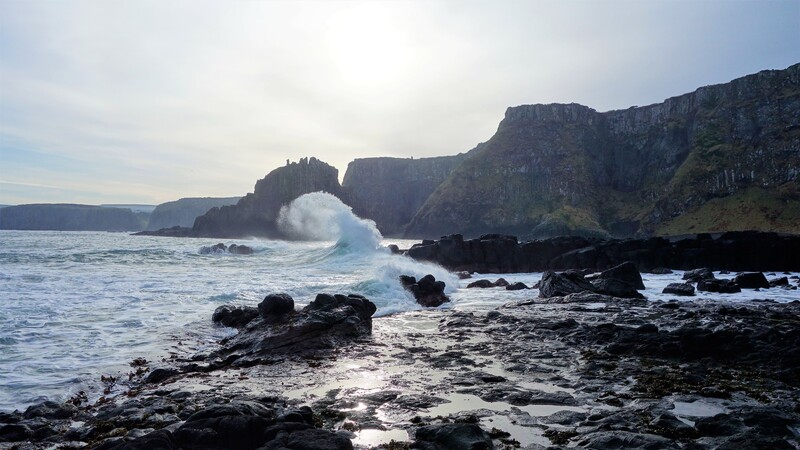 We’ve all become aware of their dodgy Giants Causeway shenanigans) and its really worth investigating – especially if youre a Game of Thrones fan and youve just visited Ballintoy mere minutes away. 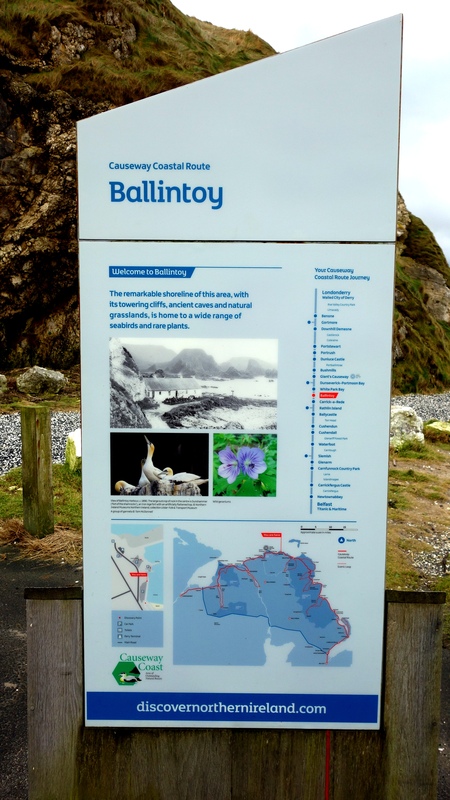 Larrybane was once a busy old limestone quarry and you can still see the remnants of the works buildings there. 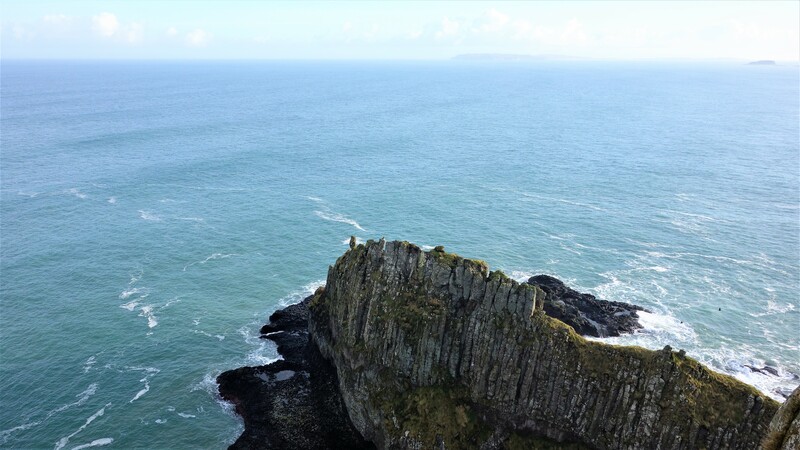 If you look at the top left corner of the first picture you can see the Game of Thrones set location at Larrybane. And in the second picture the same location yesterday with just my car parked there haha. This site was where Brienne of Tarth was first introduced to the show back in Season 2 (I think). 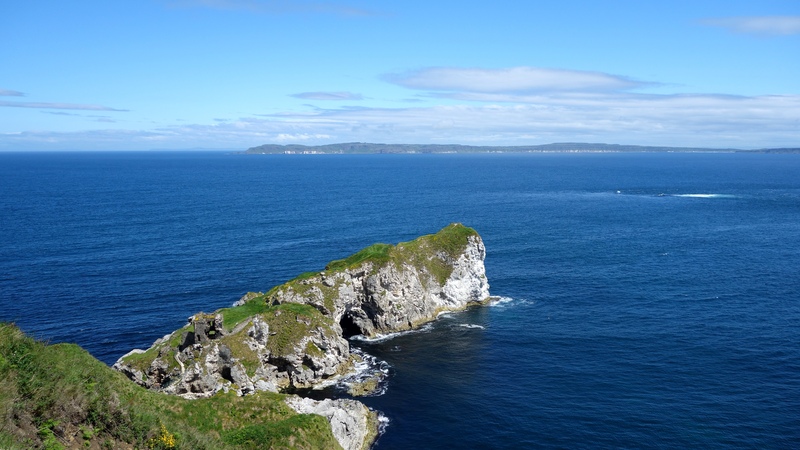 Theres a huge sweeping bay below the old quarry at Larrybane and you can actually see the point in the far distance where Carrick-A-Rede rope bridge spans the gap in the cliffs if you look very closely. Its that V shaped cut in the rocks just left of center towards the back of the picture. I have included a close up of it I took below. 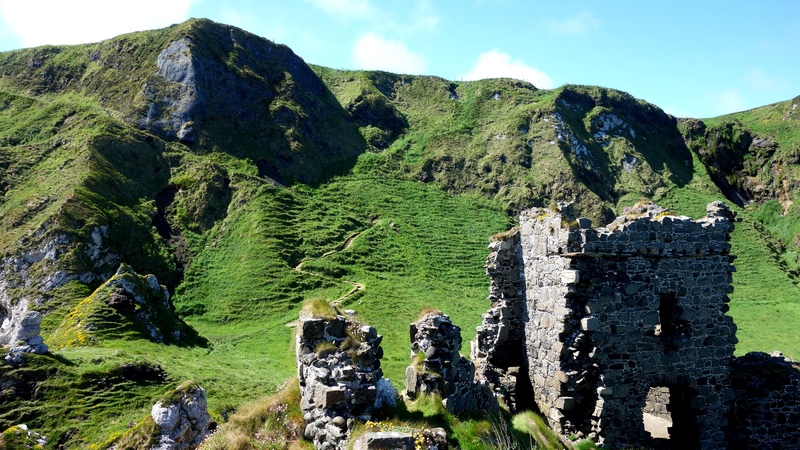 Some of the old quarry ruins that remain. Looking pretty ominous against the cloudy November sky. The view from the top of the headland is pretty spectacular I must say. It was a reasonably overcast day but some parts of the sandy bottom of the sea were a stunning turquoise blue. 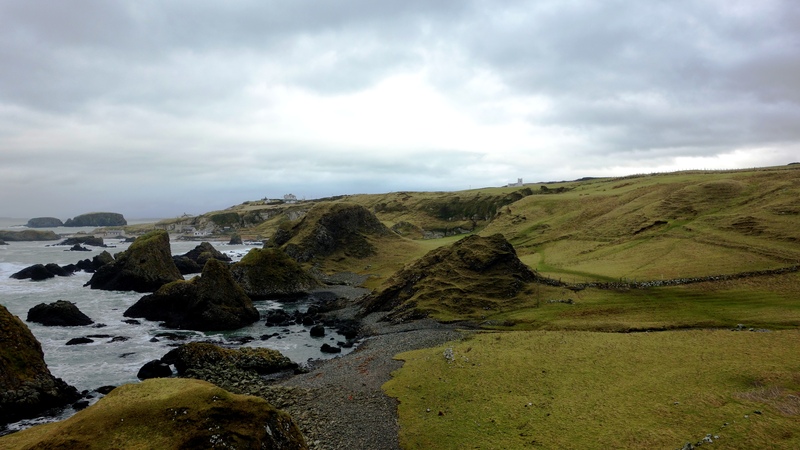 The island you see in the first picture is known as Sheep Island. 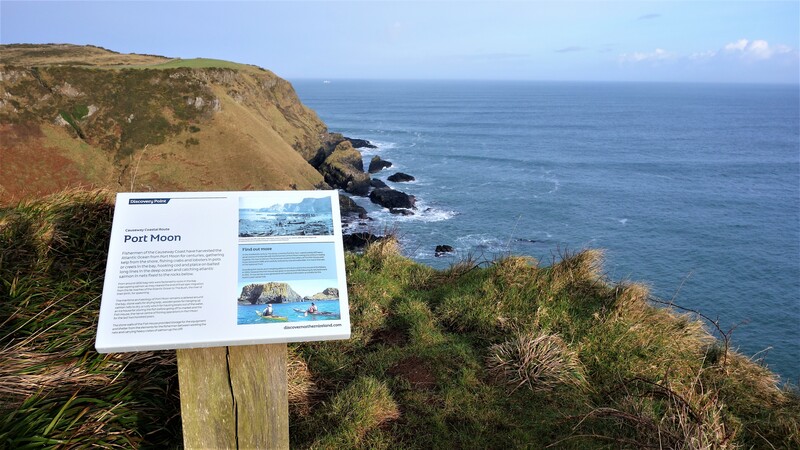 I didnt see any sheep on it (theyd have to be able to swim to get out there) but it has some old folklore history yet its now designated as an area of special scientific interest and human access is prohibited during bird nesting season. 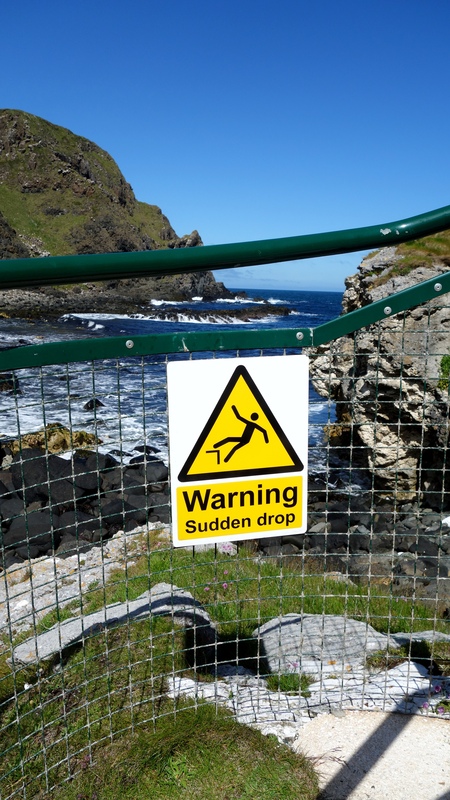 If you take one of the small trails through the grass at the top of the headland and look over the other side (be careful! ), this is the view youll see. 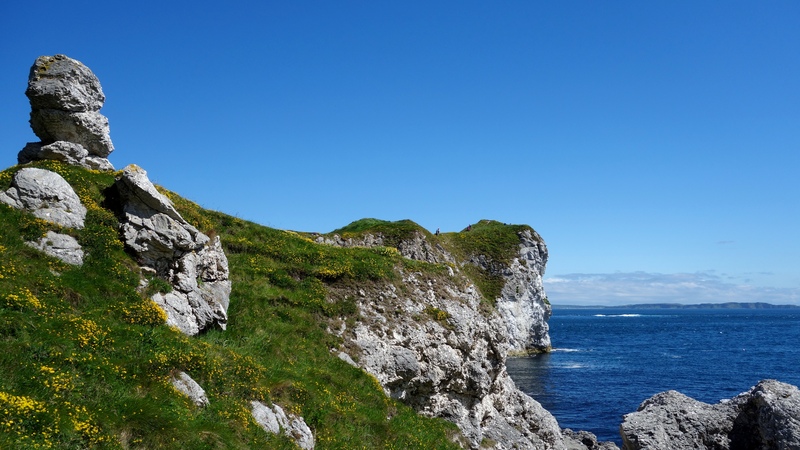 Its just as amazing as looking in the other direction and you might just be able to spot Ballintoy Church (which sits at the top of the road down to Ballintoy harbour) near the middle of the picture. 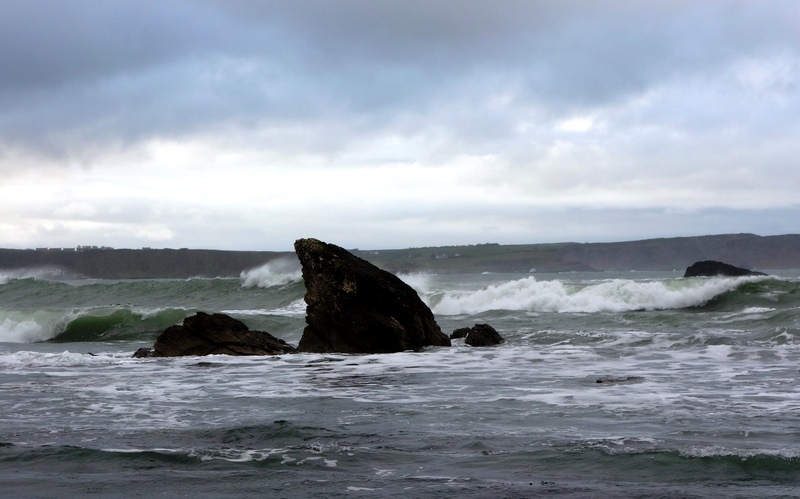 This was taken right down at the bottom of the cliffs (theres a crumbling old road to walk down) where the rubble and fallen limestone rocks from the quarry festoon the shoreline. You can see Sheep Island again in the background and I expect there may be some fossil hunting to be done down here at low tide. 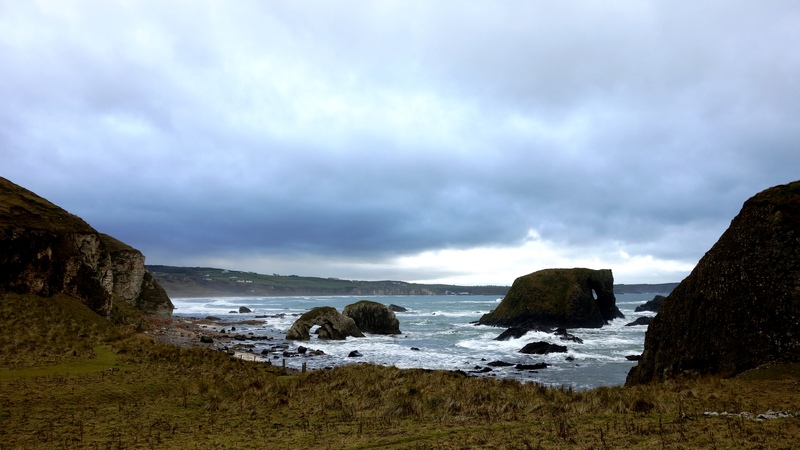 A while ago I posted some pictures taken at Dunseverick Grasslands which involved climbing over the wall at the Dunseverick Castle layby and walking right around the headland there. 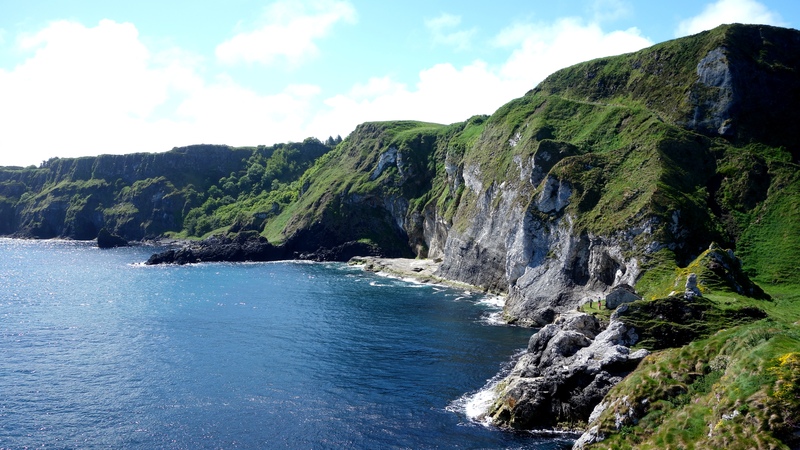 Its a truly stunning walk and one thats hidden from the road so it can only be accessed on foot. 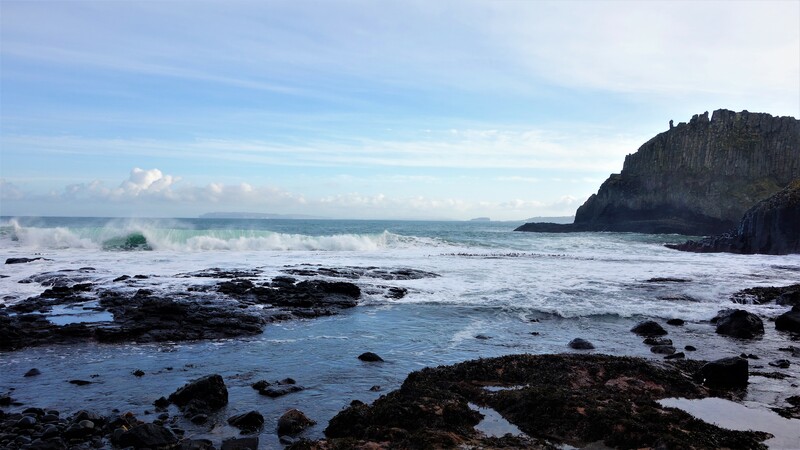 There is another walk in the opposite direction however which is just as amazing towards a magical little bay called Port Moon. 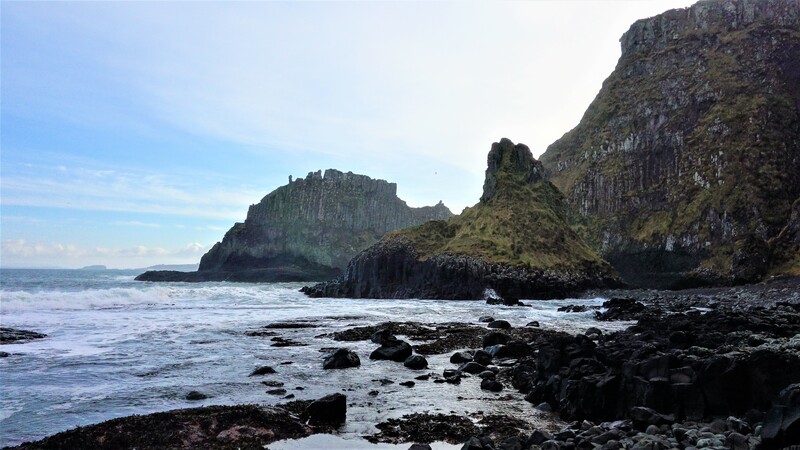 Port Moon has a long history of fishing going back well over 200 years and from 1830 nets were attached to the rocks offshore to catch Atlantic salmon on their journey to the river Bush for spawning. 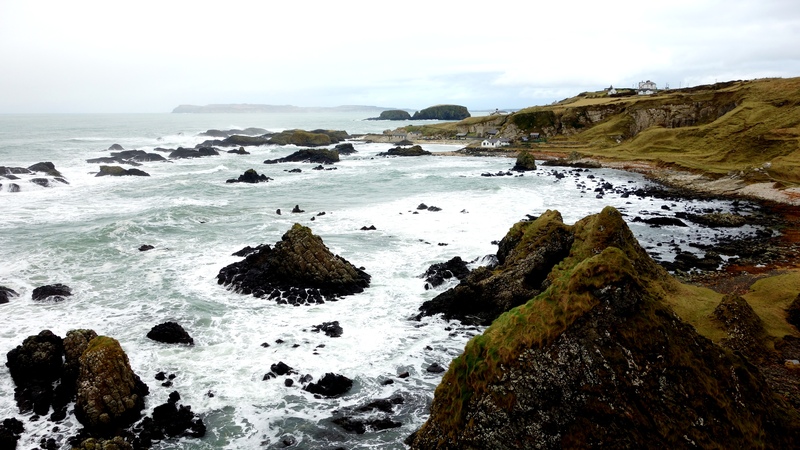 Crabs, lobsters and kelp were also harvested here. 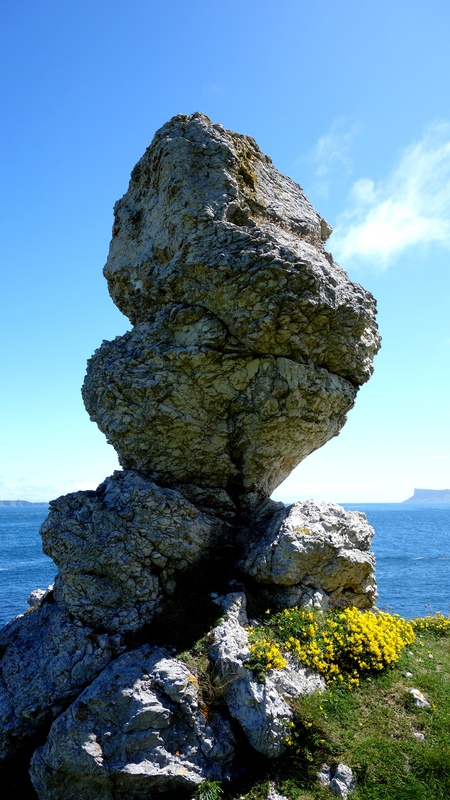 One of the crags jutting out into the sea on the walk to Port Moon, clearly showing the hexagonal columns which cover this area very close to the Giants Causeway (less than 5mls away). 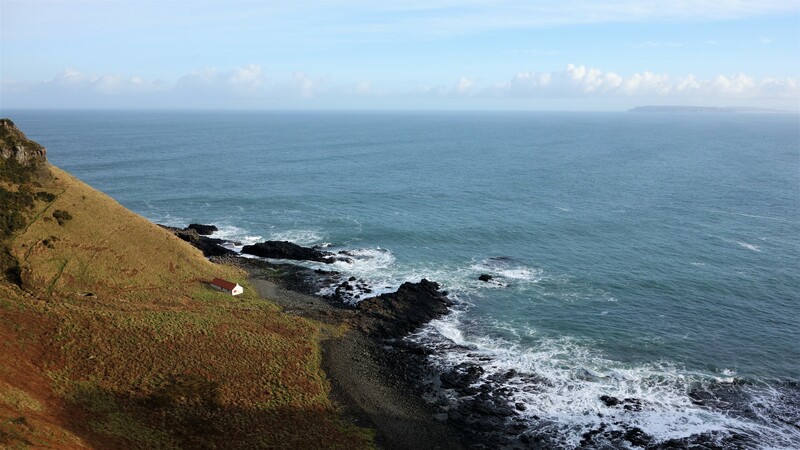 Your first views of the little “Fish House” bothy seen from several hundred feet above Port Moon bay (and yes, you can climb down there if youre brave enough). The surrounding area is simply stunning. After climbing down the looping path to the bottom of the cliff (it looks much more scary than it actually is, but be careful if its been raining as it can be slippery) you arrive at the old Fish house which now operates as a bothy (a small hut or cottage used as a refuge) which you can arrange to stay at if youre feeling adventurous (see here: http://www.canoeni.com/canoe-trails/north-coast-sea-kayak-trail/access-point/port-moon/ ). 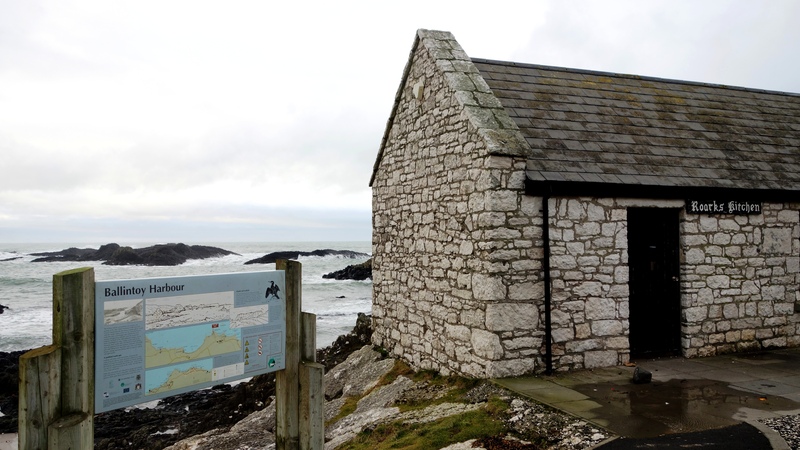 The building used to house all fishing operations at Port Moon but had fallen into disrepair until it was resurrected as a bothy in 2011. 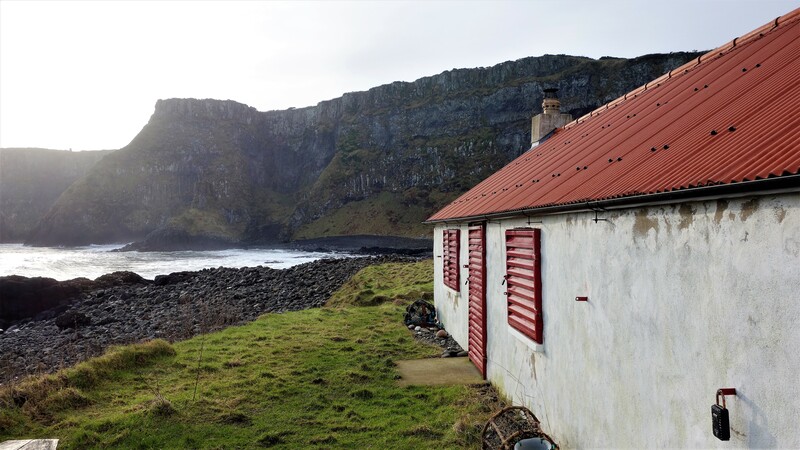 There are some pictures of the inside here https://www.hikersblog.co.uk/an-overnight-stay-in-port-moon-bothy/ but normally its locked. Looking out across the bay from the Port Moon shore. Not bad for a wintery February morning! 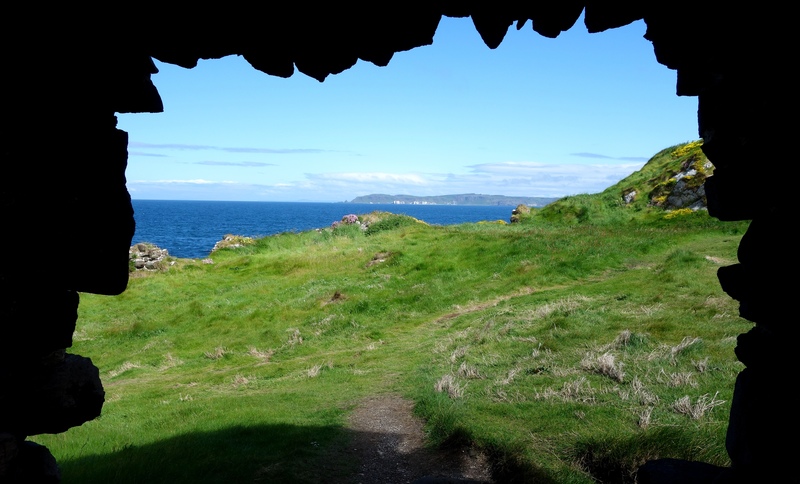 The bothy seen from the opposite side of the crescent shaped (moon shaped) bay. Port Moon, a magical little place now deserted and haunted by the ghosts of its fishing past. 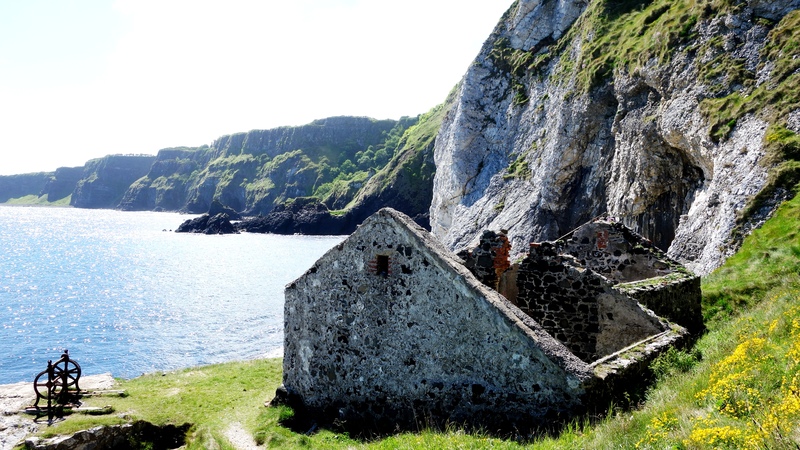 Its really worth seeing and its very much an undiscovered gem of NI that most residents wont even have seen. 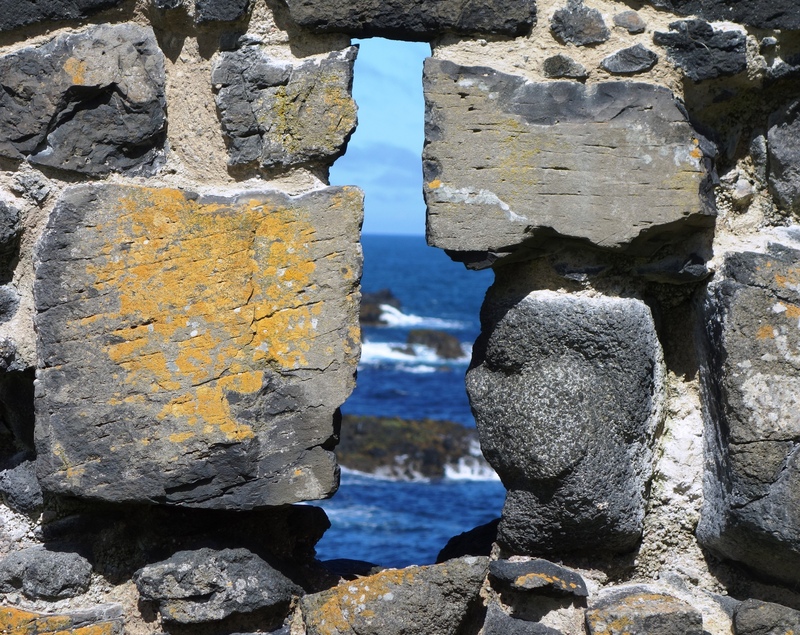 Dunseverick Castle may not be much to look at but once over that wall and walking either left or right youll surely be impressed. 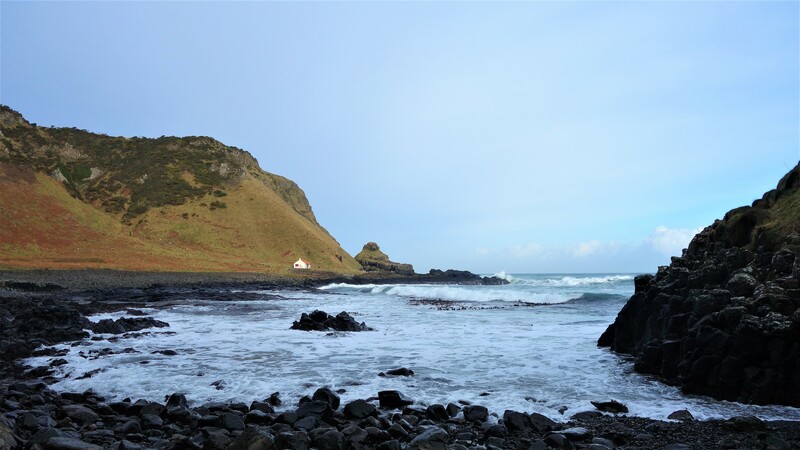 The two photographs below were taken (as always with my trusty compact camera) from the roadside overlooking the beautiful Whitepark Bay in County Antrim. 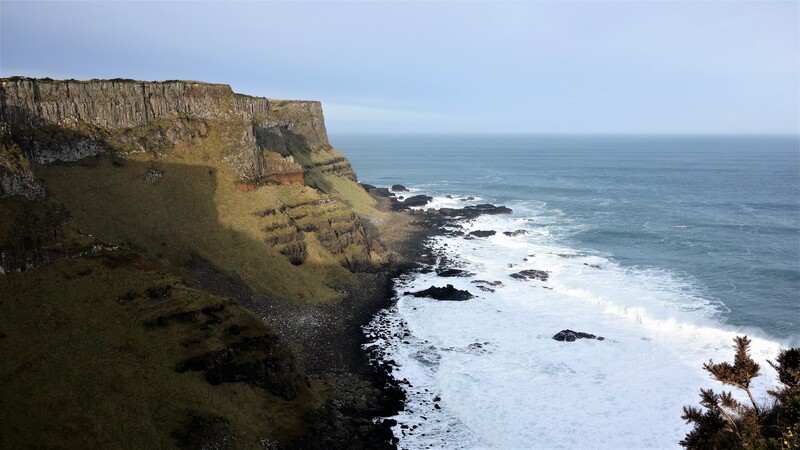 Ive already posted some pictures of Whitepark before (see here: https://niviews.com/2015/02/18/whitepark-bay-north-coast-county-antrim/ ) but not from such a high vantage point as seen here. The pictures were taken back in June 2015 on a glorious summers day, and basically the first one is looking left from our stopping point on the road and the other is looking right. 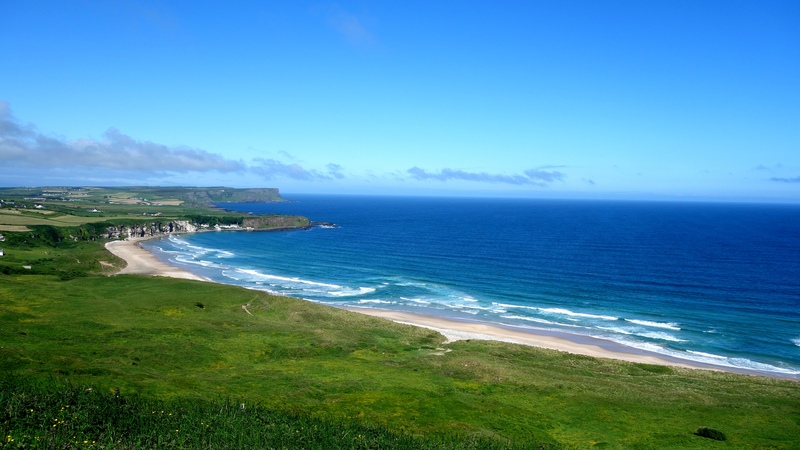 A truly stunning vista…. Looking left over Whitepark Bay, you can see the tiny village of Portbradden sitting just beyond the cliffs, and Fairhead is far off in the distance. 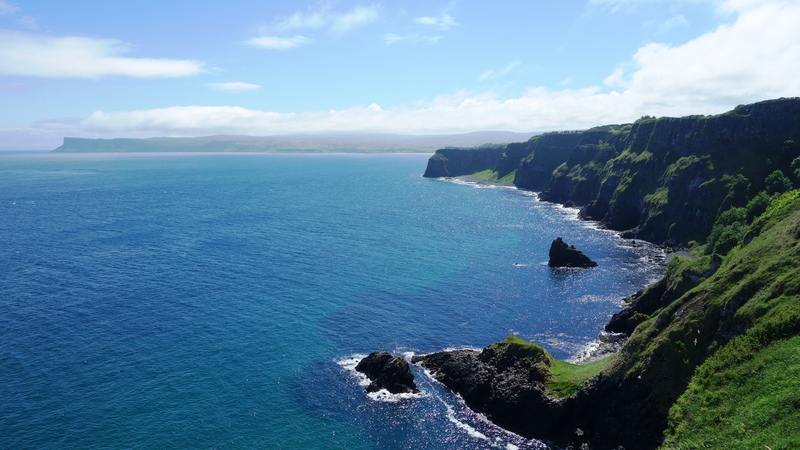 Looking right, down to the south end of the bay where you can hunt for one of the many prehistoric fossils strewn along the shore. 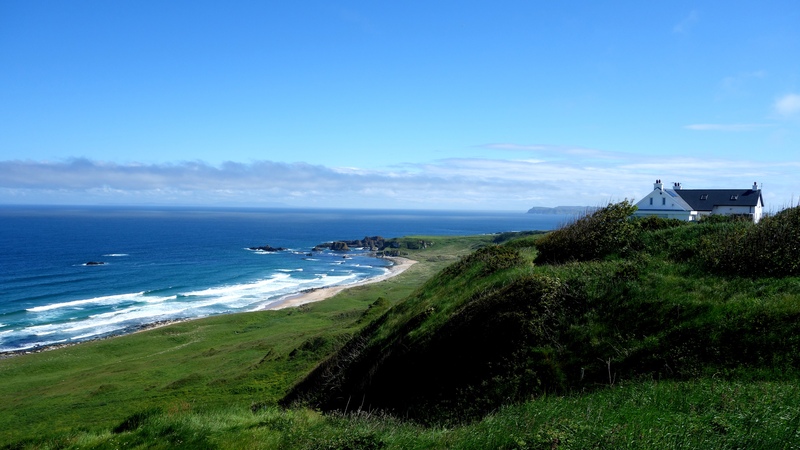 Whitepark is a beautiful (and almost always tranquil) spot on the renowned County Antrim coast. 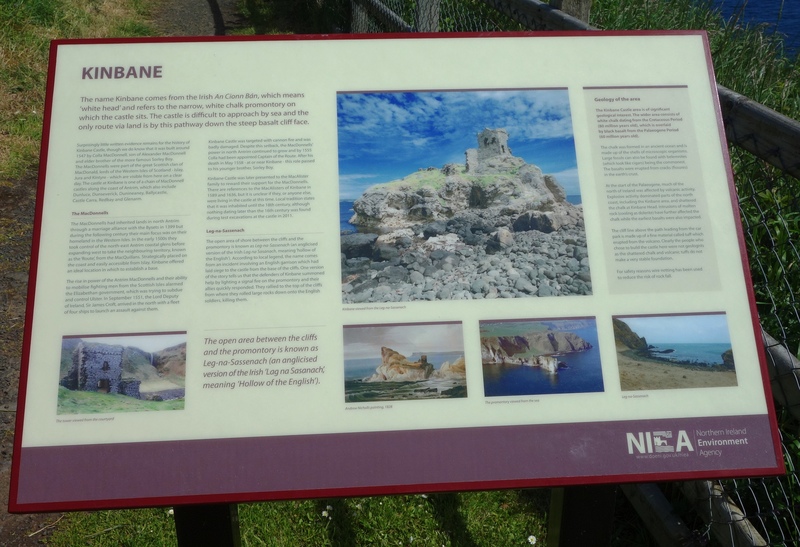 Kinbane Castle isnt really a place many seem to know about here, even though it lies between Ballintoy and Ballycastle and is quite well signposted from the main road. We had never stopped here before ourselves and we really didn’t expect much as we pulled into the car park but all I can say is… wow!….. once you discover what this place looks like I reckon you’ll be back. The area is stunning and we were kinda ashamed that some American and German tourists were already here (when we arrived) given we had never even seen the place. 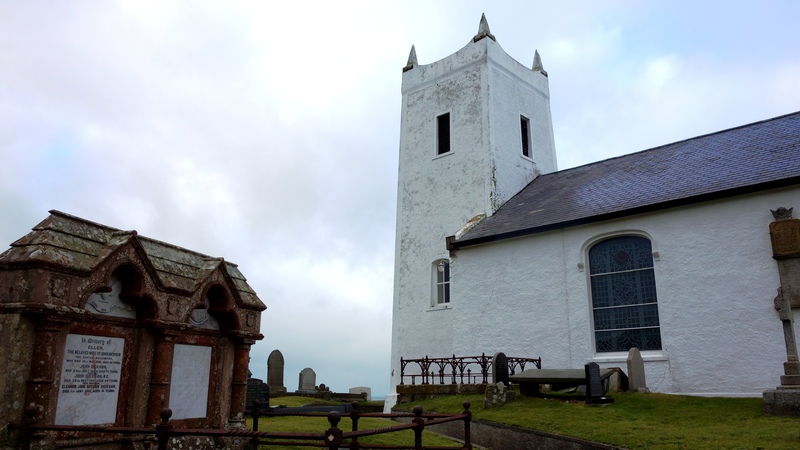 Not too much is known about Kinbane, but it didnt last very long after being constructed it seems. 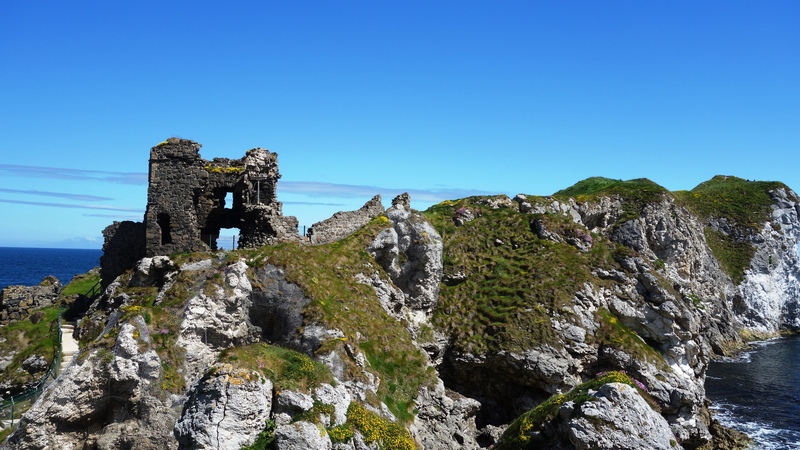 The castle was built by Colla of the MacDonnell clan, the clan who also built many other castles and buildings in the area including Dunluce and Dunseverick. 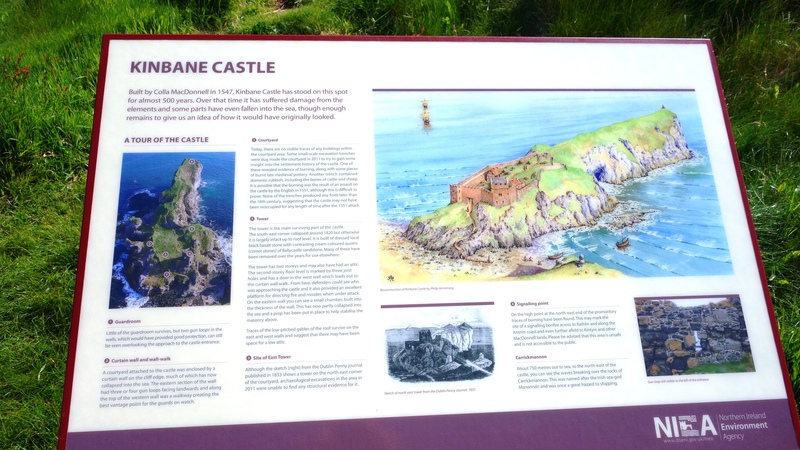 The English laid siege to it within a few years of its completion in 1551 as they were getting a bit concerned about the strength of the ruling MacDonnell Clan (and their friendly connections with Scotland just across the water), but the castle prevailed at this point. Another attack took place in 1555 however where the castle was partly destroyed by cannon fire but it was rebuilt afterwards. 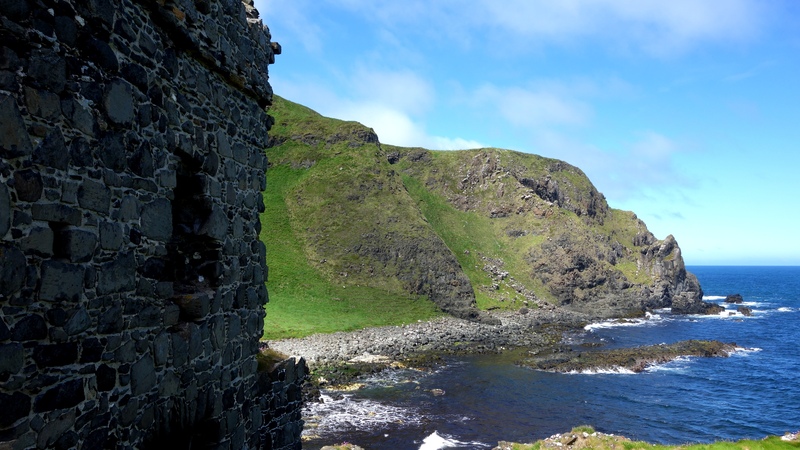 The hollow below the castle is known as Lag na Sassenach (Hollow of the English) and it was allegedly during the 16th century that a garrison of English soldiers laying siege to the castle were surrounded and massacred. 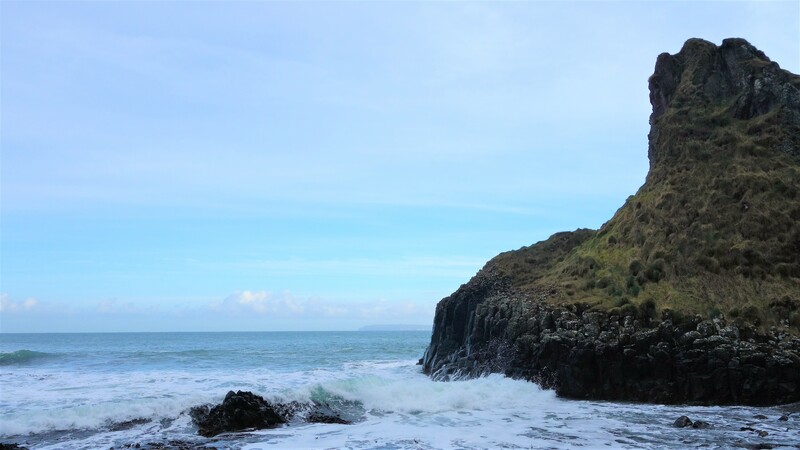 Fires lit on the headland as calls for assistance were answered by clansmen who came from all directions and surrounded the garrison rolling rocks onto the English below crushing their advances. Game of Thrones for real eh? Hopefully you can read the information on the 1st picture here (click for large high def) and this second photo is your 1st glimpse of the castle. When you arrive at the castle car park you’re pretty high up, and the surrounding area and views are just amazing. 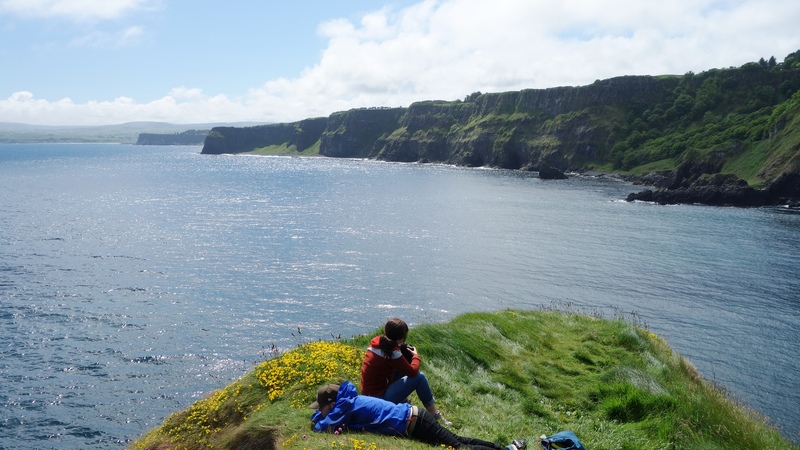 Just look at those cliffs (and the beautiful June weather). Thats Fair Head in the distance btw. A stunning location for a castle though it was placed here (of course) for strategic reasons. The second picture was taken from inside the tower looking out, and the third picture is of one of the remaining “gun loops” – ie. where they placed the huge cannons (you can see some of the steps down to the castle in the last picture). Just below the castle are the ruins of what looks like some old fishery, Im not sure of the history of this, but I expect its a few hundred years old rather than several (like the castle). It provides a nice backdrop to the area however. 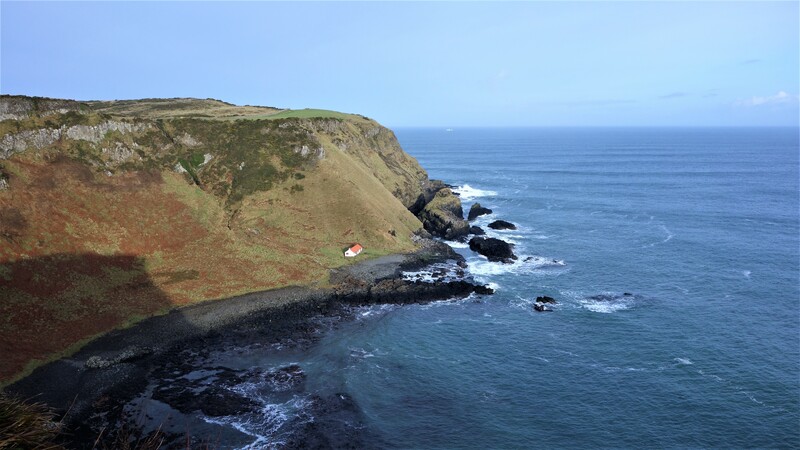 The first two of these pictures were taken from the cliff top behind the castle and in the first one (if you look closely towards the right) you might be able to see some people standing beside the old fishery shown in the pictures above. This will give you a sense of the scale of the place and the heights involved. The people in the second picture are sitting right at the very tip/end of the precipice shown on the third pic. Honestly, this is only for the brave and likely very dangerous in Winter! 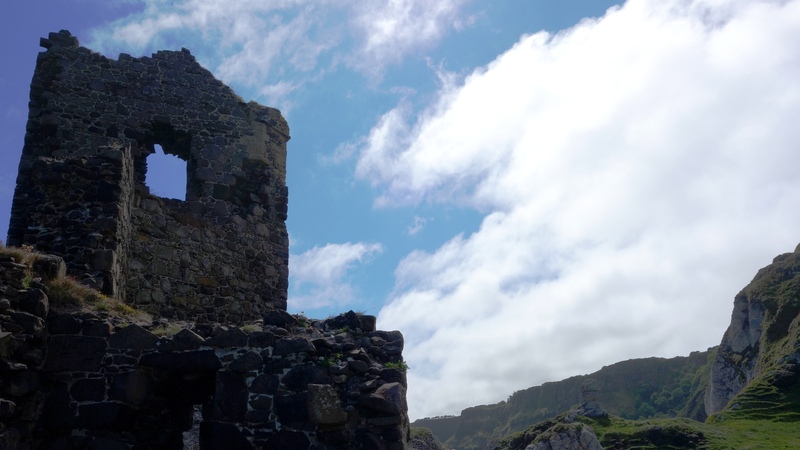 Kinbane Castle, still projecting its dominance 500yrs later. You really should visit here. 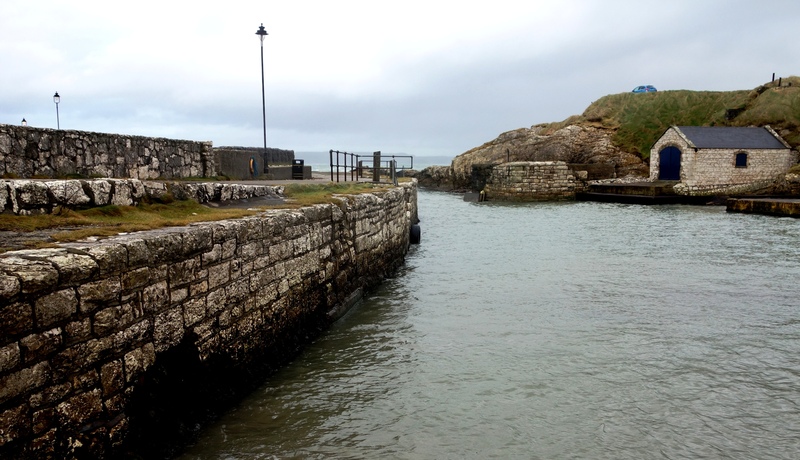 So not long now until the premiere of Season 5 of Game of Thrones (12th April 2015) so I thought Id mark that with a little mention of Ballintoy which substituted as Pyke Harbour in Season 2 of the series. 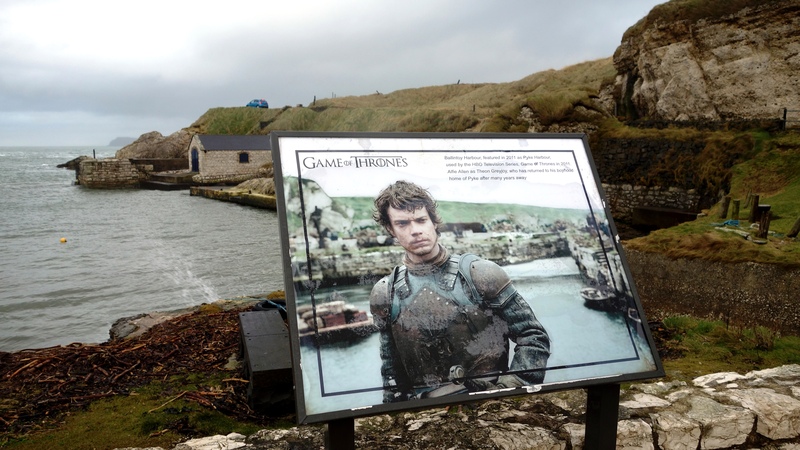 A permanent plaque stands there now for visiting fans to read and it looks as if Northern Ireland will be home to the show for a while longer as Season 6 will also be filmed here. 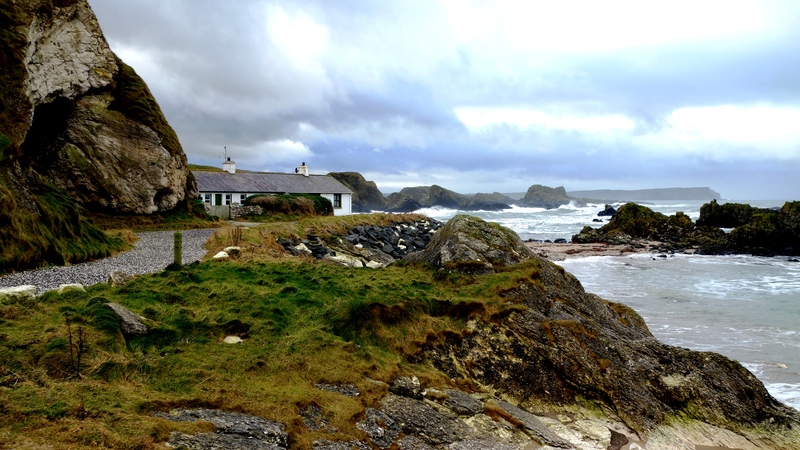 Ballintoy is a quiet little village with an attractive small harbour, but walk left around the headland and it has some amazing scenery. There are also some caves you can enter (though you may need wellingtons). Do you remember this place? Its probably pretty recognizable as Pyke harbour even without the special effects. On the left is Roarks Kitchen, which is a little cottage style cafe that’s been serving lovely food here for 35yrs. And on the right is another view of the harbour used in Game of Thrones. Now follow the path left, walking away from the harbour and past this little house (there’s a cave before you get there you could maybe walk into, though it might have some shallow water in it). You can climb up some of the huge grass covered rocks (be careful) which have trails left by local sheep. Once at the top of this one, the view back to the harbour is quite amazing (you should be able to see it in the distance here).